2011 marks the BEARR Trust’s 20th anniversary. 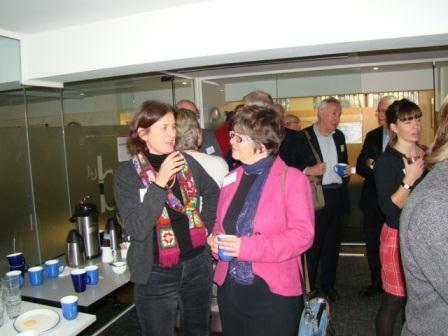 The Annual Conference on 20 November accordingly looked back over changes in policy and practice in health and social welfare, and the role of NGOs, in the region over the last 20 years, and prospects for the future. 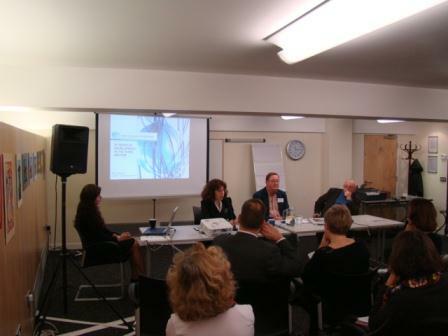 The conference was held on 18 November 2011 in the conference suite at BEARR’s premises in Southwark, London. Keynote speakers addressed the wide-ranging issues involved, and there were specialist panel sessions devoted to Family Matters, the Disabled, and the Elderly. Speakers came from Russia, Georgia and Ukraine, as well as the UK. Click here for the programme and here for the full report. A shorter version of the report will appear in Newsletter No 58. The presentations given at the conference may be accessed via the links below. The artwork created by people with mental disabilities in art therapy classes in Georgia described by Ana Chakhava and displayed at the conference can be viewed here. The BEARR Trust is grateful to the Great Britain – Russia Society and Age UK for their support for this conference. The conference is also supported by Ukraine International Airlines, leading airline to Ukraine and beyond, including daily connections to Tbilisi, Georgia.